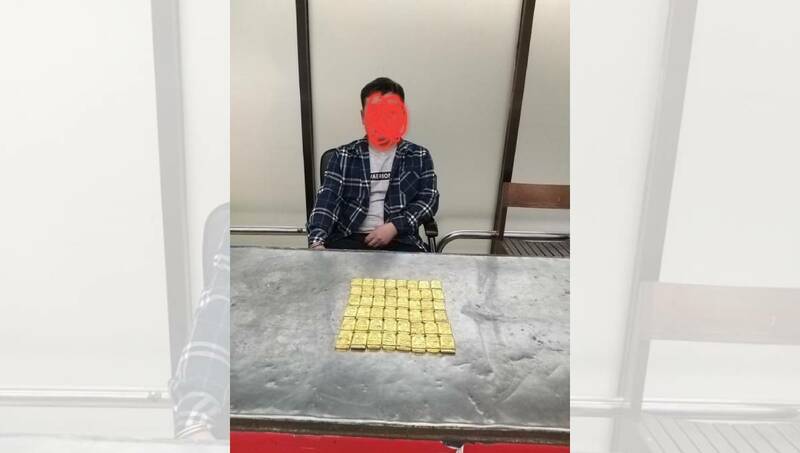 Dhaka, Mar 24 : Customs official detained a Chinese national along with 48 gold bars from Hazrat Shahjalal International Airport on Sunday morning. The arrestee Ruan Jinfeng, 43, landed at the airport from Dubai on an Emirates Airlines flight (EK582) at 8 am. While the Chinese citizen was passing through the green channel, an image of metal substances was spotted inside his luggage, said Othello Chowdhury, deputy commissioner of Dhaka Customs House. Later, the gold bars weighing 5.56kg worth Tk 2.79 crore were recovered after breaking open the battery of a charger light, said the official.